Established in 1977 and located in the middle of Taiwan, Changhua, with 100 persons of workforce and 108,000ft2(9,900M2) floor area, Lucre star has been in the Automobile Parts Industry for almost 3 decades,who is one of the most professional manufacturers in Taiwan. 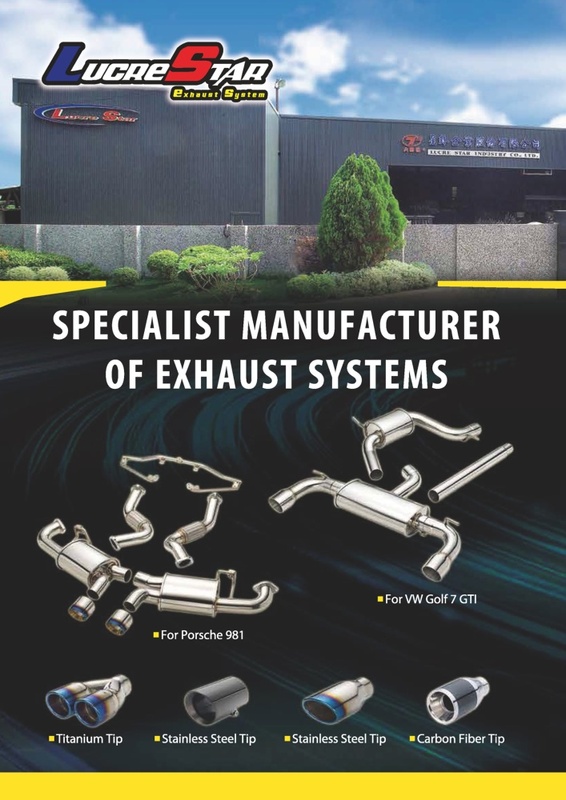 We specialize in Exhaust systems, Tuning & Performance parts including Headers,Down pipes,Resonators, Middle Sections,full Cat.-Back & Axle Back systems, Universal Mufflers & Tips etc.Owing to so many years experience in this field. We also carry a full range of Conventional Exhaust systems for after-market replacement. For more information please contact by e-mail.